This is part of the sports infrastructure being readied by the emirate in preparation for the 2022 FIFA World Cup. The contract was announced by Qatar’s Supreme Committee for Delivery and Legacy, it said in a regulatory filing. L&T’s JV partner is Al Balagh Trading and Contracting, it added. “The contract for the project is for a combined value of $360 million for both JV partners and is slated to be completed by 2019. The scope for the stadium includes main works and construction of the site, following completion of the enabling works,” the filing said. Inspired by local patterns, the Al Rayyan Stadium and its precinct design will resemble the sand dunes that surround the traditional desert tents, it added. A landmark in the making, the Al Rayyan Stadium will be one of the most significant stadiums slated to host games up to the quarter-finals in the much awaited 2022 FIFA World Cup, it added. 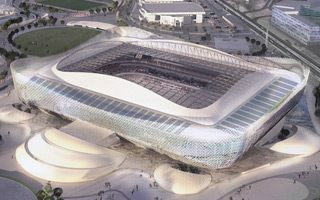 Recently awarded the title of 2015’s best stadium design, the stadium will be scaled down to 20,000 after the FIFA tournament.